The Xingu River flows near the area where the Belo Monte dam complex is under construction in the Amazon basin on June 15, 2012 near Altamira, Brazil. Belo Monte will be the world’s third-largest hydroelectric project and will displace up to 20,000 people while diverting the Xingu River and flooding as much as 230 square miles of rainforest. Even clean energy could devastate the Amazon, according to new research. A massive increase in hydropower from a series of planned Amazon dams could harm the world’s most important rainforest all the way from the slopes of the Andes to the Atlantic Ocean. Altogether, 428 dams are being built or are under consideration along the network of rivers that drain – and nourish – 6 million square kilometres of forest spanning nine countries. Of these, around 140 are already finished or under construction. The Amazon is home to four of the world’s 10 largest rivers. Of the 34 largest tropical rivers, 20 are in the Amazon region, and these rivers are the source of one fifth of the planet’s fresh water. That same flow delivers the nutrient-rich sediments to habitats downstream to support the teeming life of the region, including the canopy that shelters its shrubs, plants, insects, reptiles, amphibians, mammals and birds. Those rivers exchange sediments and nourish a mosaic of wetlands, said Edgardo Latrubesse, a geographer at the University of Texas at Austin, who led a collaboration from 10 universities to assess the potential environmental damage, and report in the journal Nature. Dams conserve water, deliver irrigation in the dry season, reduce the threat of flooding and of course provide energy for hydropower. On the other hand, they impose an environmental cost: sediments vital downstream are trapped upriver and the floods they might prevent are an integral part of the forest’s long-term stability. So dams come at a price not normally measured in economic cost-benefit analyses, but they can change a river system and damage an economy all the same. The researchers first devised what they called a Dam Environmental Vulnerability Index, assessing the vulnerability to land use change, erosion, run-off pollution, trapped sediment and other changes to river systems, to test the real value of the 140 dams already happening and the ones still under consideration. Many of the dams are in areas that yield heavy loads of sediment: the Andean Cordillera, for instance, provides more than 90% of the silt to the entire river system. The Marañon and Ucayali rivers are or will be home to 104 and 47 dams respectively. Up to 80% of the area upstream of the lowest-planned dam will be vulnerable: dams will change river dynamics, to alter the pattern of creation of oxbow lakes and floodplain sediment storage, putting thousands of species at risk. The Madeira River drains waters rich in sediments from Bolivia and Peru and has the most diverse fish population. Two huge dams have already led to a 20% fall in sediment concentration in the Madeira, and 25 dams are planned further upstream. 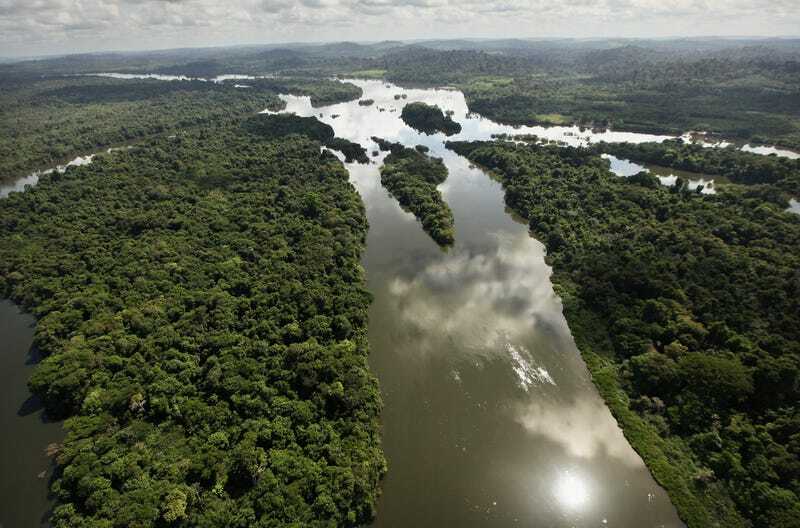 “The Amazon is the most important river basin on the planet. It’s a microcosm of our issues of today involving environment, energy and health of the planet,” said Victor Baker, a hydrologist at the University of Arizona, and one of the authors. And collectively, the authors close their study with a warning: “Citizens of the Amazon Basin countries will ultimately have to decide whether hydropower generation is worth the price of causing profound damage to the most diverse and productive river system in the world.